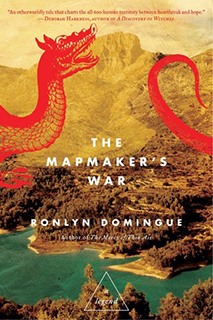 Writing styles fascinate me and Ronlyn Domingue’s fantasy novel, The Map Maker’s War is intriguingly unique. Second person narratives are an interesting style and I don’t usually write that way but this reads as a memoir written to herself. She is her only audience. So the ‘I’ and the ‘you’ are for her older and younger selves. Fascinating! I struggled a while and finally put it down to come back with a more open mind. Reviews I’ve read have been equally divided between adored and strongly disliked. What’s your favorite writing style for novels? What style do you usually write in? 18 Aug	This entry was written by Laura and published on August 18, 2013 at 2:02 pm. It’s filed under Books, Creativity, Inspiration, Laura, Learning, Lifeology, Writing. Bookmark the permalink. Follow any comments here with the RSS feed for this post.